GUNNISON — Residents of Gunnison Valley, along with others from both Sanpete and Sevier counties have made a statement: They refuse to lose community stalwart Trent Halliday. 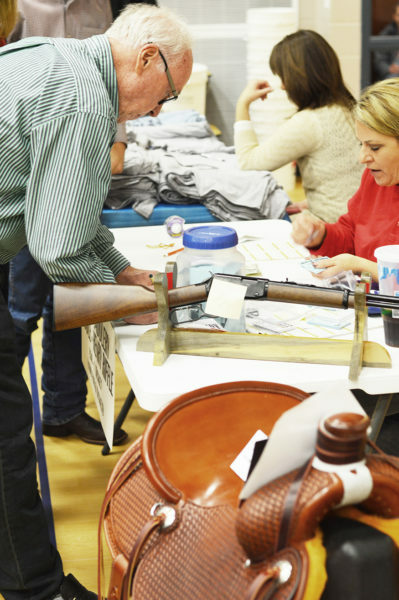 In what was easily one of the most successful individual fundraising events to ever take place in Sanpete, last week the Refuse to Lose benefit banquet drew over 900 attendees and raised over $100,000. All proceeds will go to help the Halliday family bear the burden of the extensive medical costs associated with treating Halliday’s recently-diagnosed stage-4 cancer. The banquet, which took place on Thursday, Dec. 15 at Gunnison Valley Elementary (GVE), was an elaborately organized affair, orchestrated entirely through the work of volunteers. Initially, volunteers for the banquet formed an organizing committee of seven people in late November, but in a matter of days the committee had grown to an enthusiastic planning collaboration between nearly 50 people, said Zack Jensen of Centerfield, assistant fire chief of the Gunnison Valley Fire Department and one of the benefit organizers. The banquet filled every seat in the full GVE gym and every meal was eaten. Gunnison’s Melissa Judy organized students from Gunnison Valley High School to decorate and prepare the gym, as well to as act as servers for the banquet attendees. “On top of the 50 benefit organizers, Melissa saw to it that we had nearly 35 students to help out,” said Jensen. GVE staff were also on hand to help with cleanup and preparation of the school building, the use of which Jensen said was particularly generous. 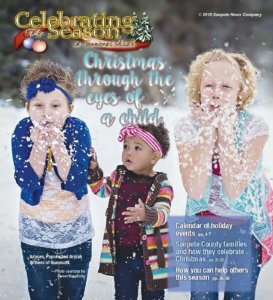 Kristy Nielson, wife of Sanpete County Sheriff Brian Nielson, took the food organization and preparation upon herself. All the food she and her fellow volunteers cooked for the event was donated by various businesses around the valley as well, Jensen said. Along with other police officer’s spouses and volunteers, Nielson oversaw the preparation of over 600 meals. 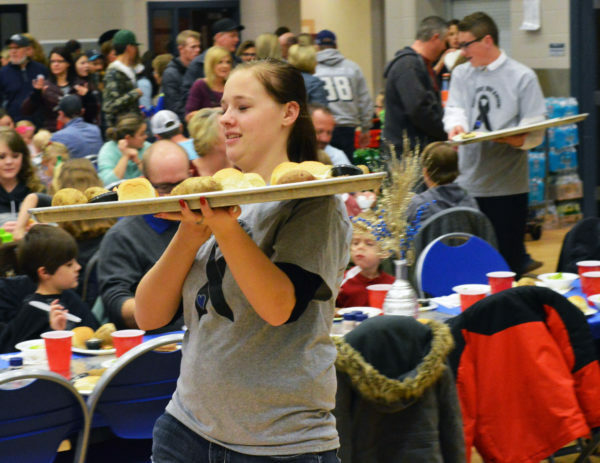 Because the turnout was beyond what anyone imagined, as people continued to pour into the benefit, when the food ran out, event organizers gave away extra raffle tickets for the price of the tickets sold at the front door. Mike Wanner of Gunnison, one of the principle organizers, took the lead with some of the social media campaigns and worked cooperatively with Centerfield Councilman Dan Dalley to run the auctions. Wanner said he was amazed at just how much successful cooperation was involved in the event process. “We started with a committee of seven and it grew into 50 people, and not one of them was more important (than another),” Wanner said. “We have been told by multiple people who have been involved with fundraising, and they have all said this was the most organized event of its kind they have ever seen in their experiences. That would not have been possible without the committee and volunteers who put this thing together in just three weeks. The $100,000 in funds to help pay for Halliday’s expensive chemotherapy treatments and other medical costs was raised through ticket sales, raffles, auctions and direct donations, said Wanner. The items to raffle and auction were also donated. Burns Saddlery of Salina donated a custom saddle valued at $3,600 that was won by Lee Sorenson of Mayfield. Wanner’s twin brother Matt Wanner also organized about $10,000 in donations from Sevier County as well, said Jensen. Centerfield councilman and owner of Lazy D Pawn Dan Dalley, who played an instrumental role in donation gathering, auctions, raffle prize storage and many other duties, echoed Jensen and Wanner’s sentiment. During the event, the GVE gym — which normally would seem huge and empty, echoing even minor footfalls due to its sheer size — was filled to the brim and overflowing with people who were there for a single purpose: to help out a lawman, coach, husband and father who has been giving his all to the community for years. There were policemen, firefighters, first responders, elected officials, teachers, doctors, corrections officers and countless other community members present who came to show support for Halliday and his family. “I have been overwhelmed by the outpouring of love and support from the people of this county. Thank you to each and every one of you,” Halliday said. 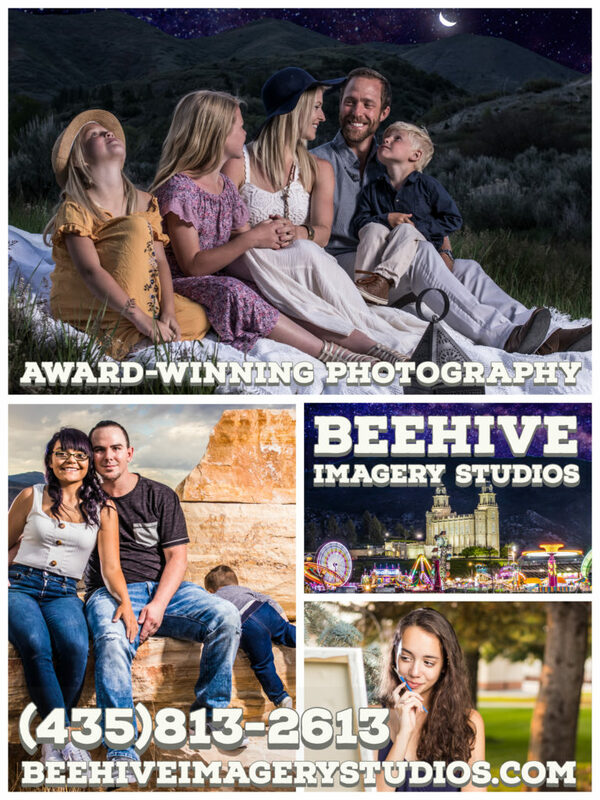 Along with ticket sales at the door, auctions and raffles for donated prizes, the benefit banquet turned out to be one of the most successful individual fundraising events in Sanpete history, raising approximately $100,000 to help the Halliday family pay medical bills associated with the costly treatment of Halliday’s recently diagnosed stage-4 cancer.